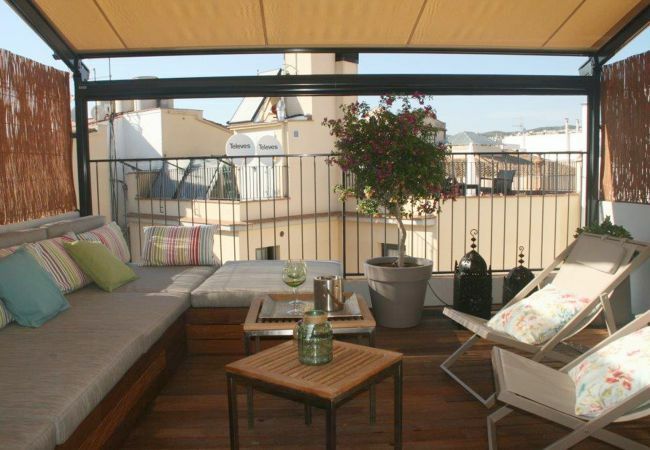 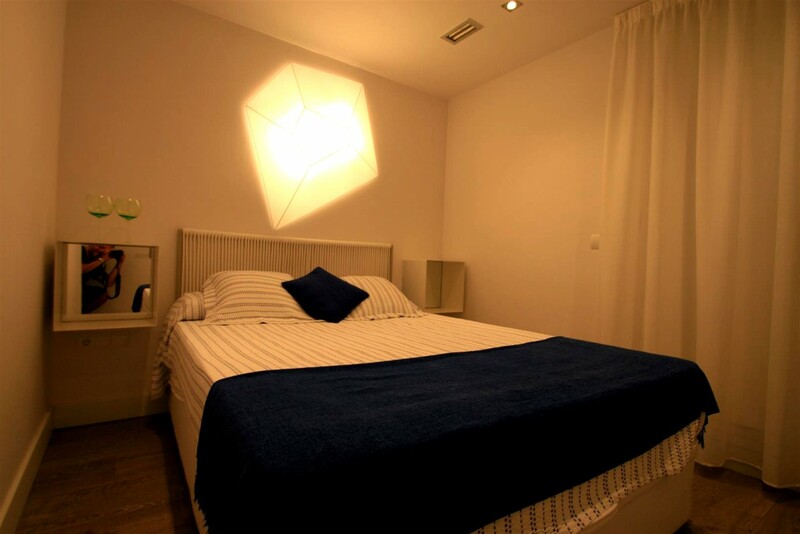 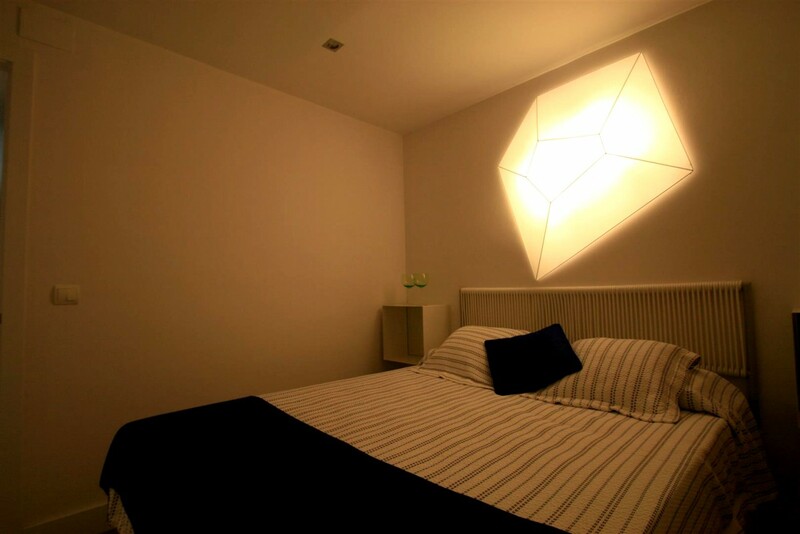 This type of spectacular attic apartment rarely becomes available on the holiday rental market. 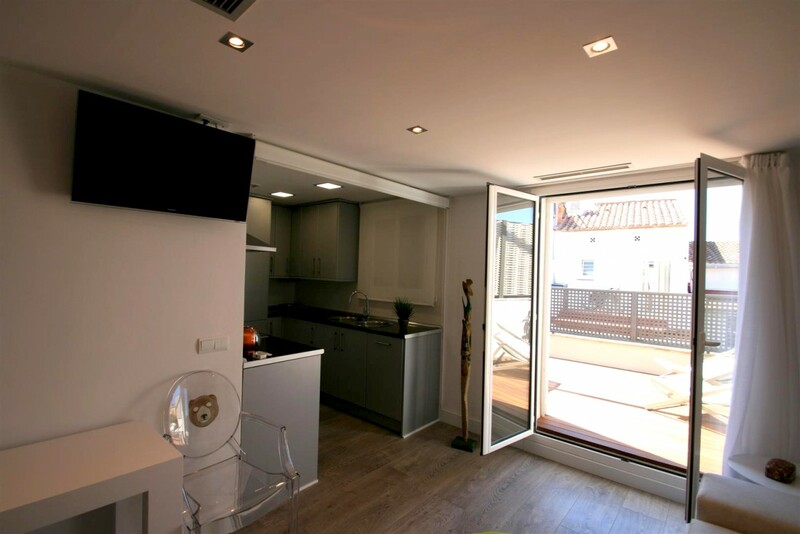 Stay Sitges are proud to include it in its portfolio. 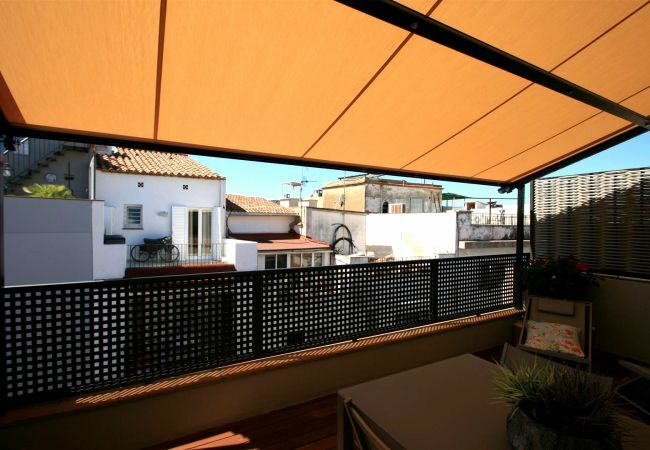 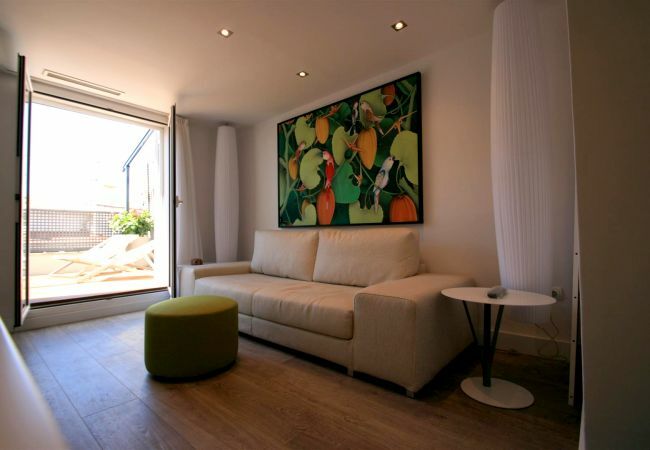 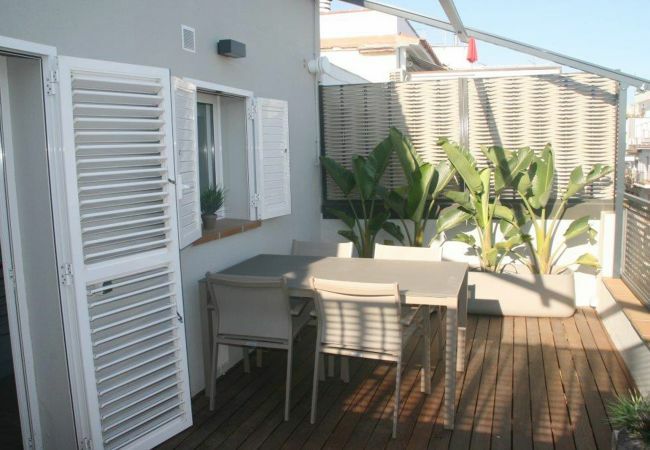 Situated in the heart of Sitges, close to the shops, bars, restaurants and just two minutes from the beach this really is the most perfect apartment and it would be hard to find an equivalent in Sitges. 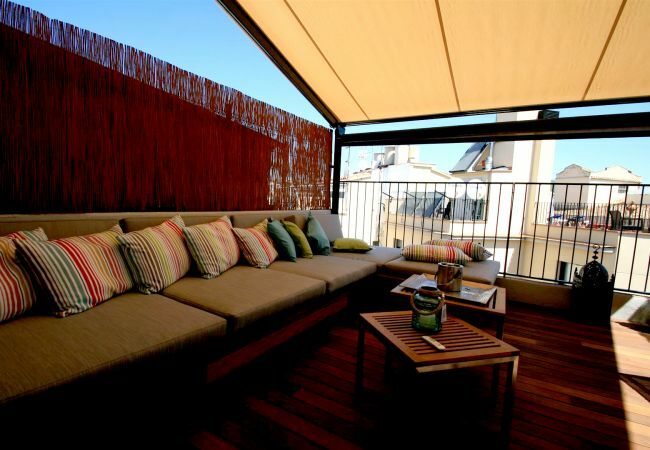 The terraces alone are spectacular and once you have relaxed here you won’t want to go home. 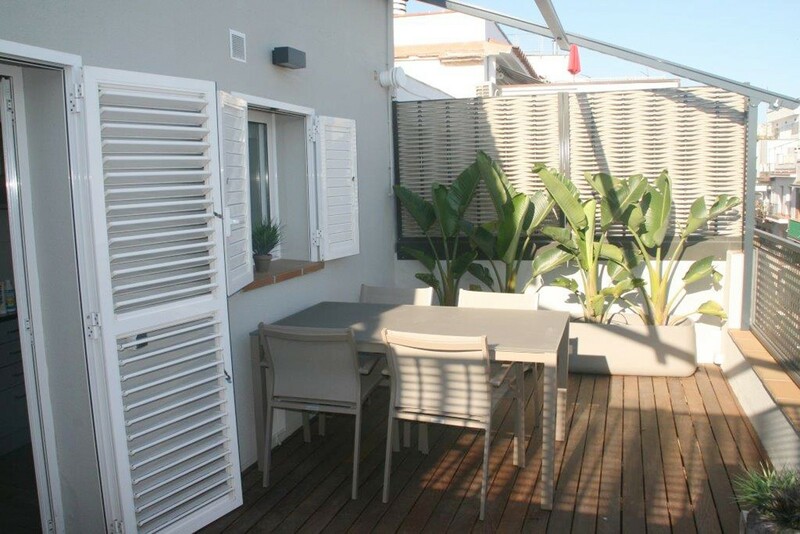 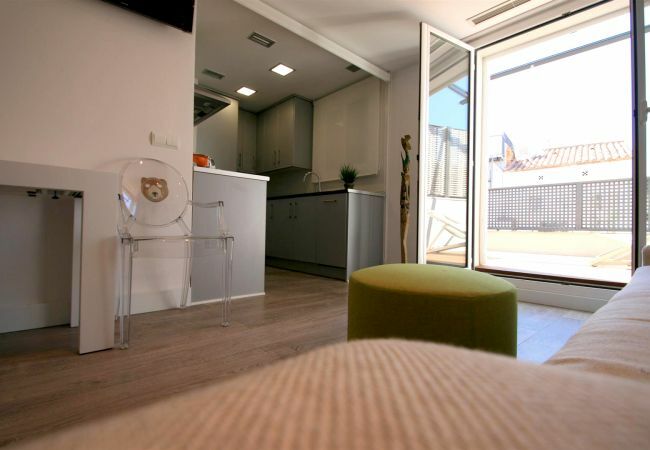 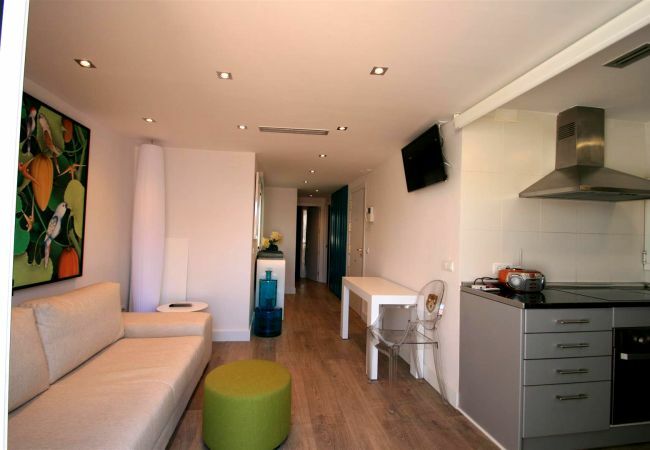 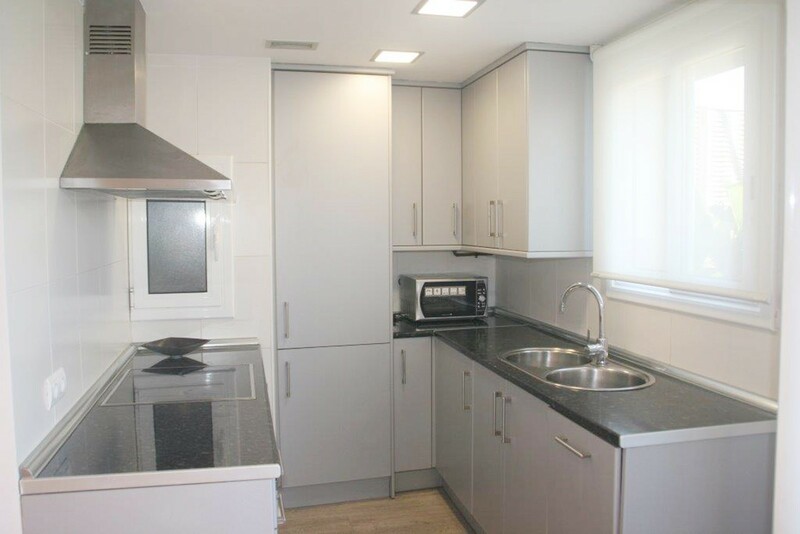 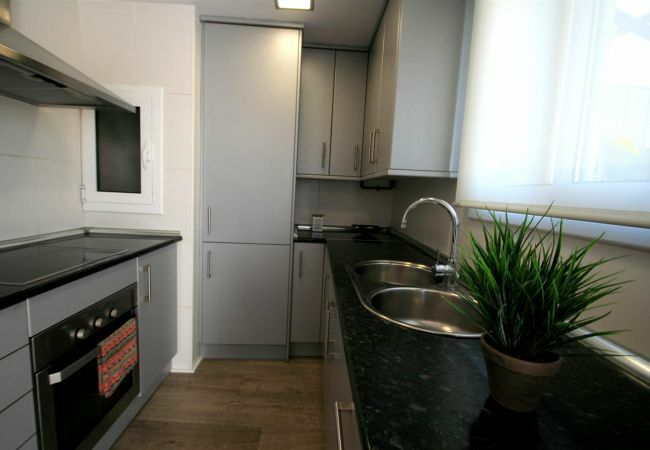 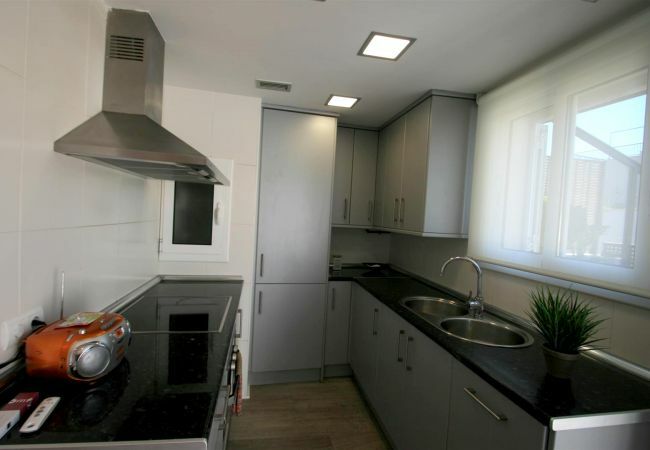 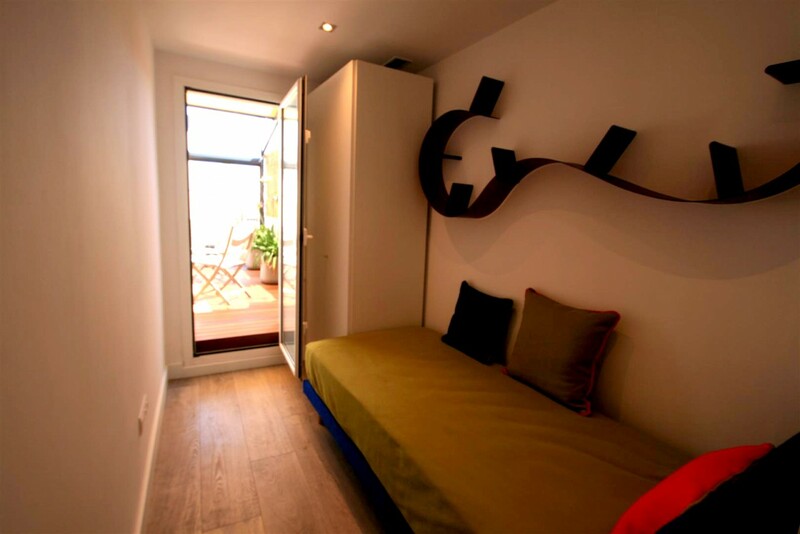 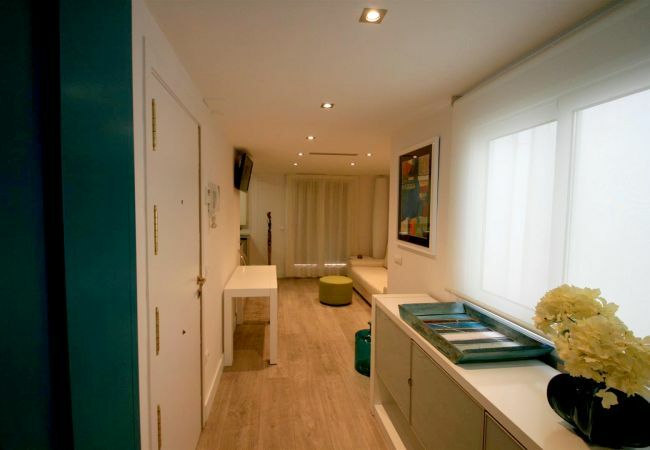 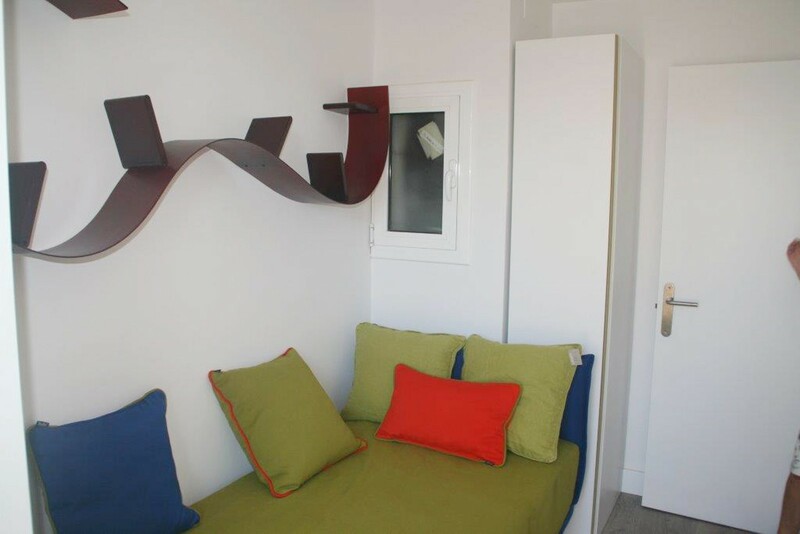 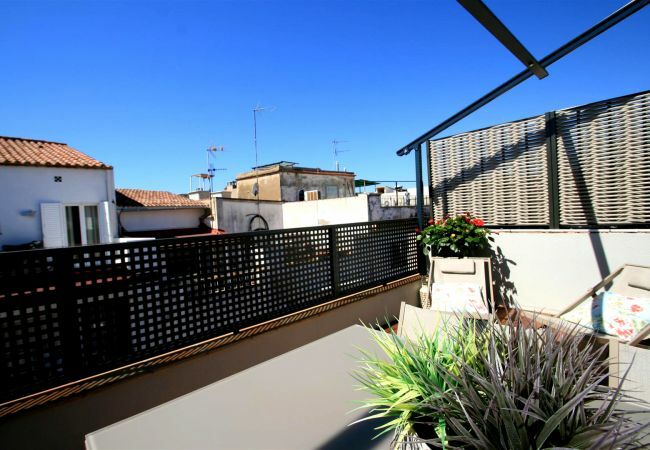 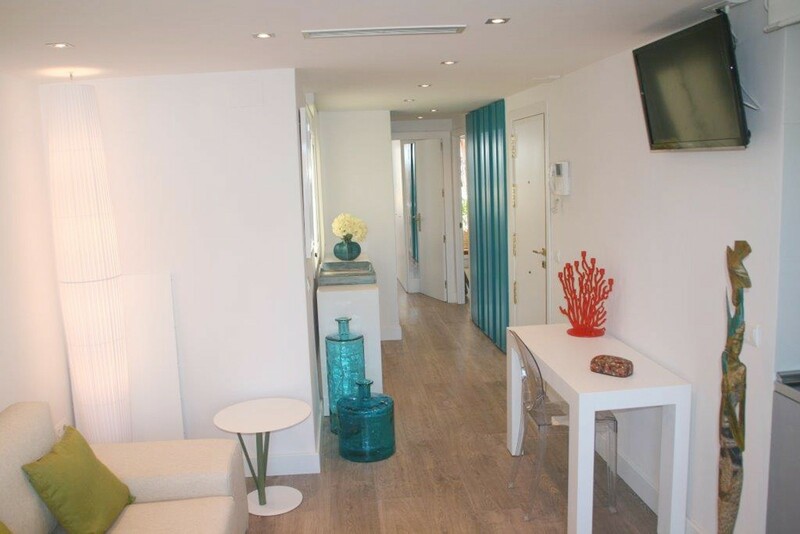 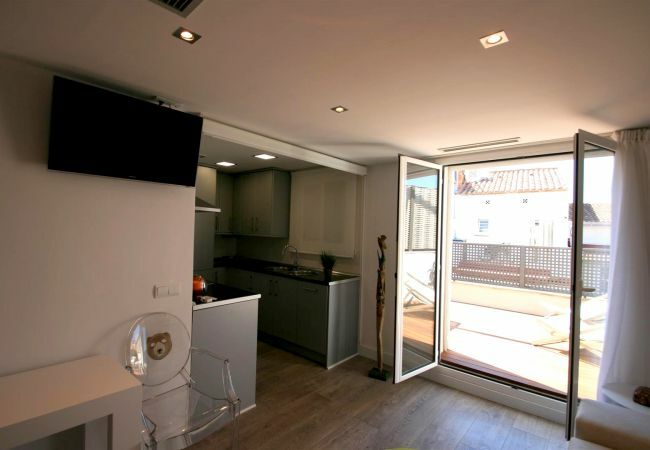 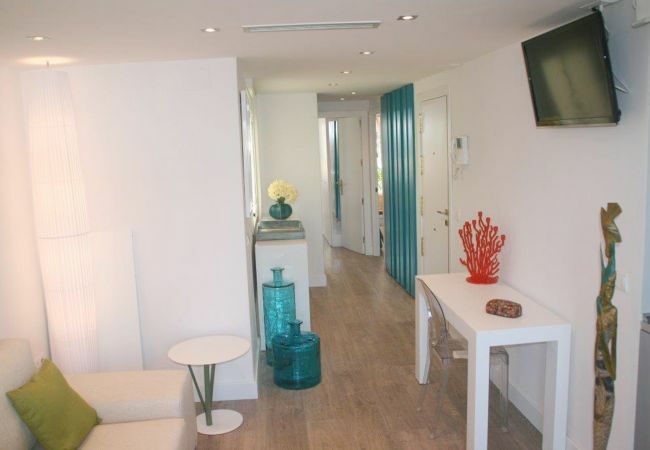 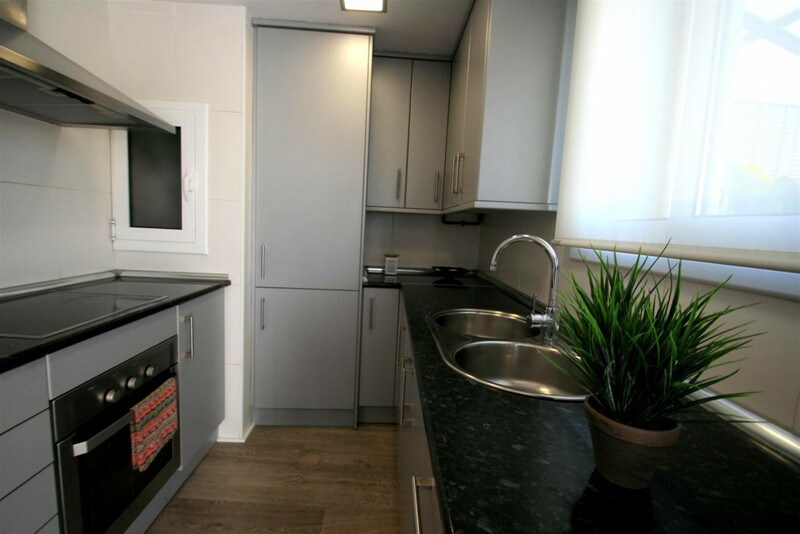 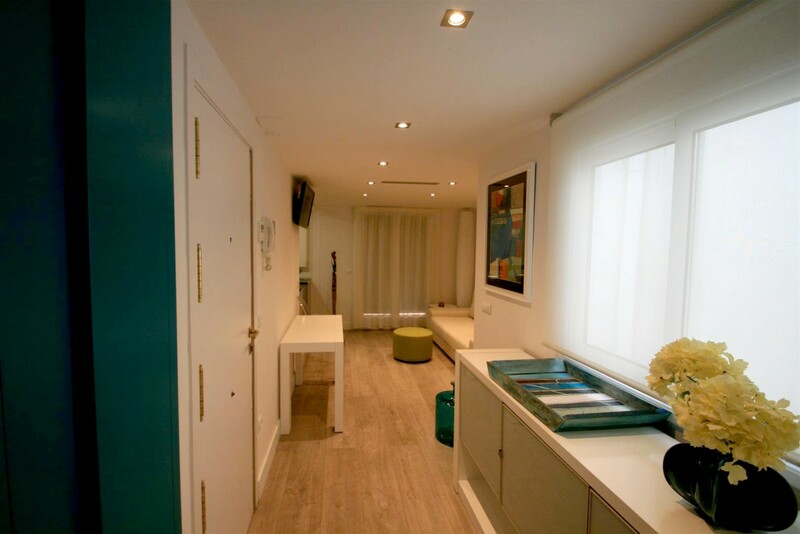 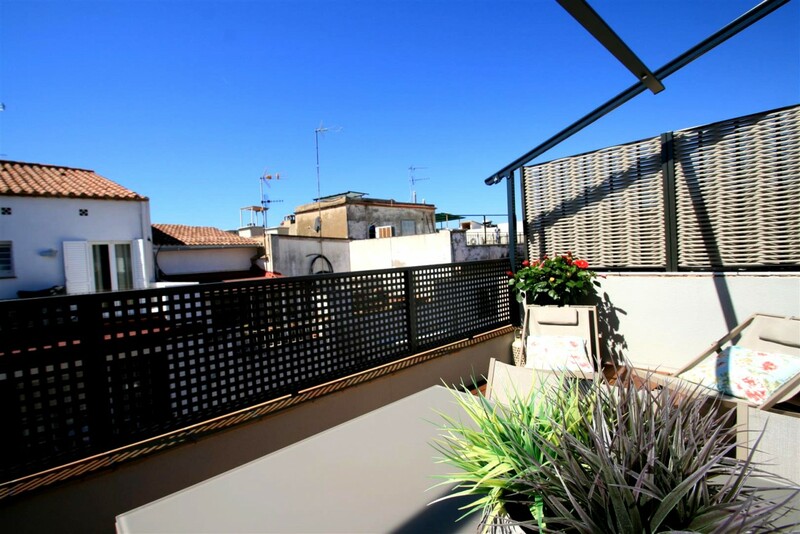 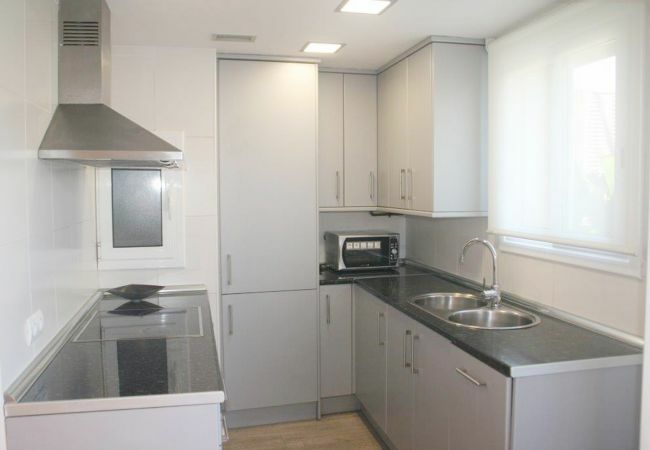 The apartment can be accessed from the main street in Sitges and a lift/elevator takes you to the 3rd floor where apartment Apollo is the sole occupier. 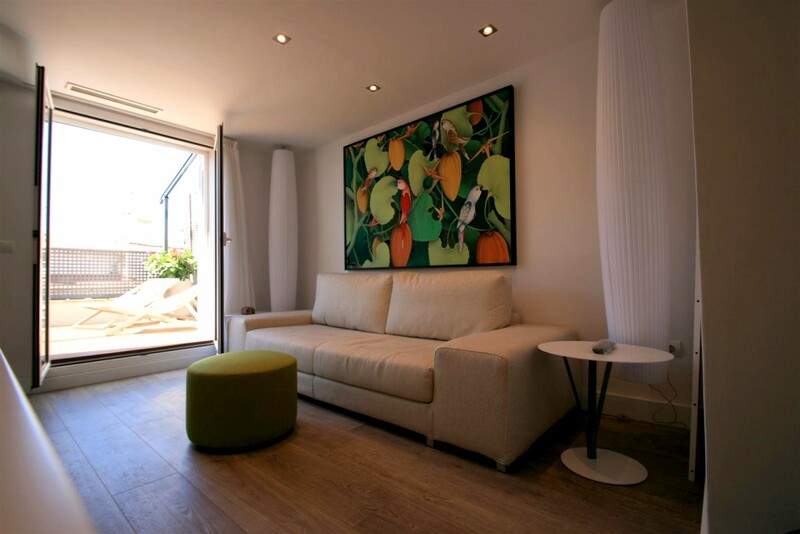 The living room can be found on the left of the entrance hall and has a large TV and Wi Fi. 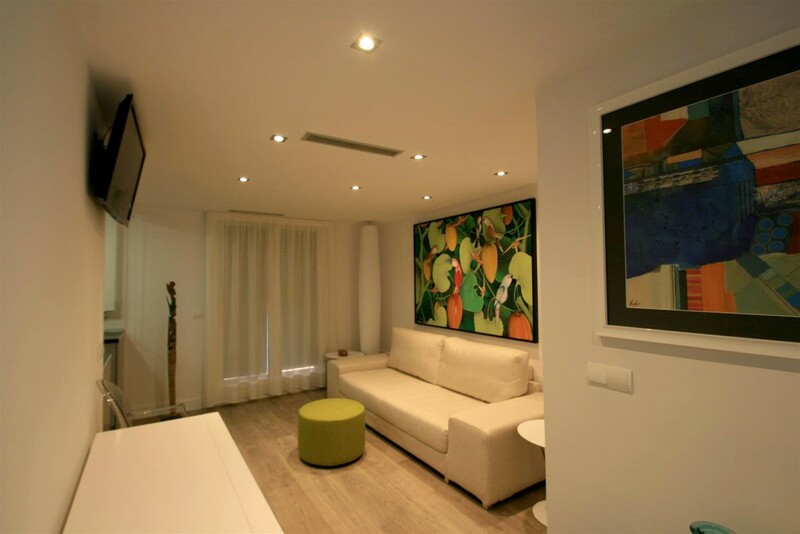 The apartment is very tastefully furnished with top of the range Italian furniture and some original artwork adorning the walls. 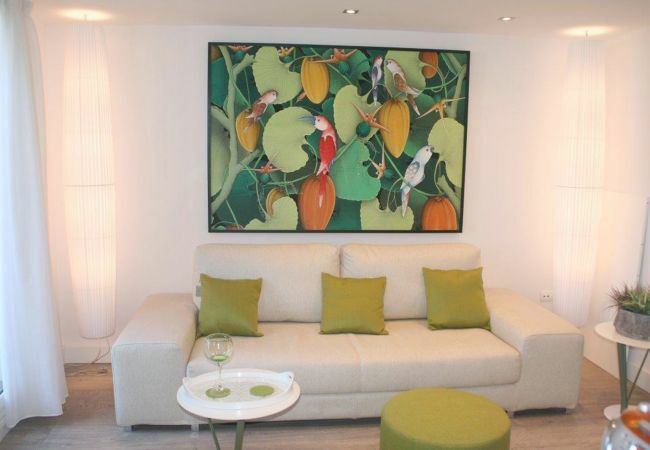 The living room has comfortable stylish seating and a dining area, with table and chairs. 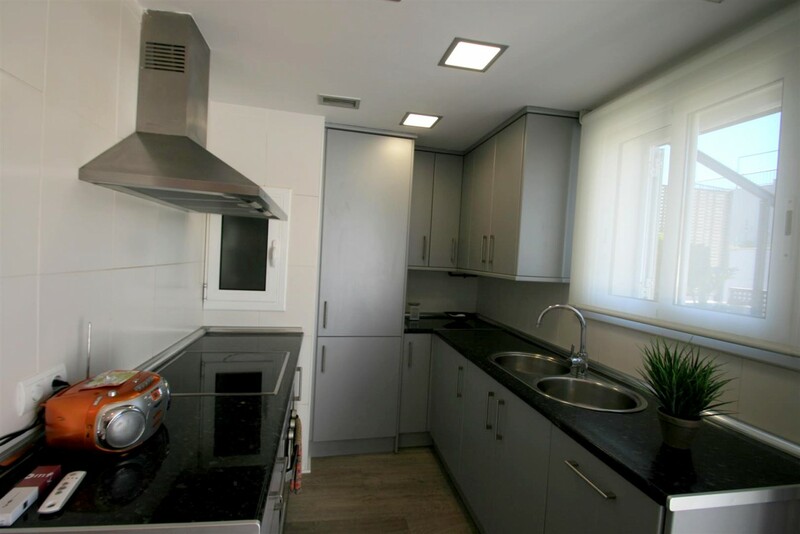 The kitchen is modern and styled in the American fashion, with all you would ever need for a self catering holiday. 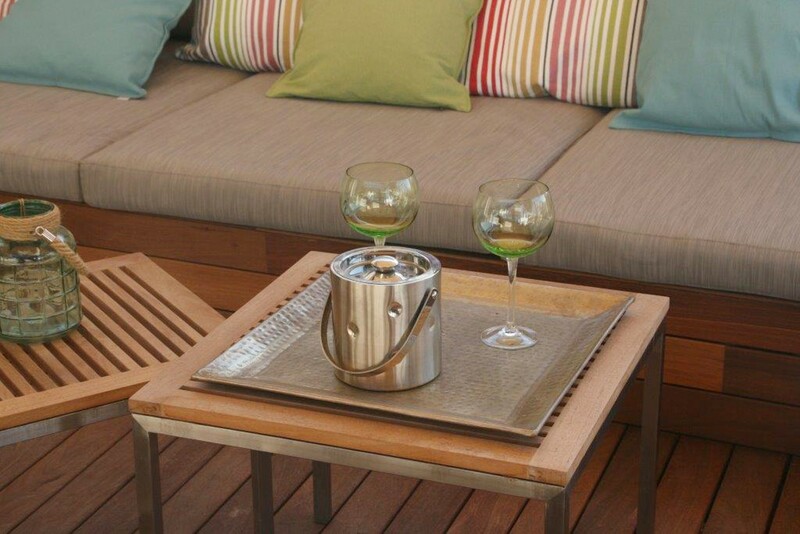 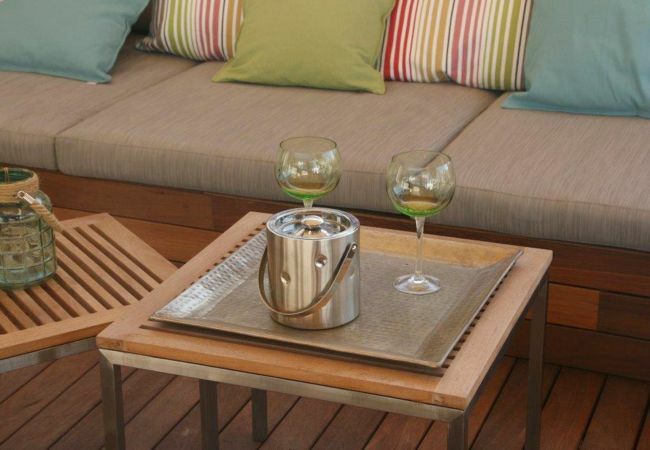 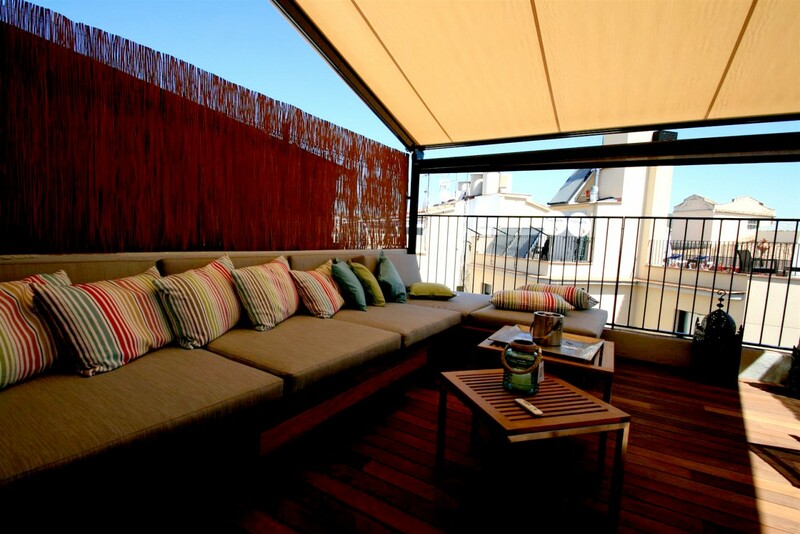 Leading from the living room is the first terrace, this has table and chairs for 4-6 people, loungers and a BBQ. 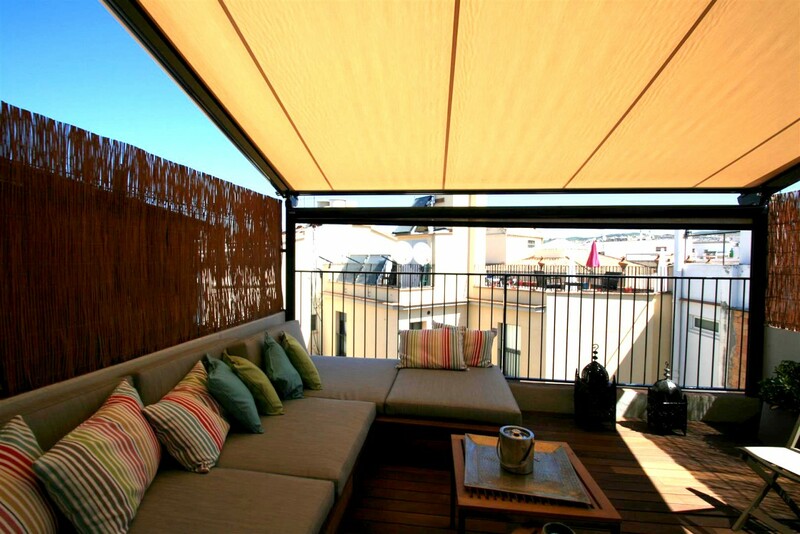 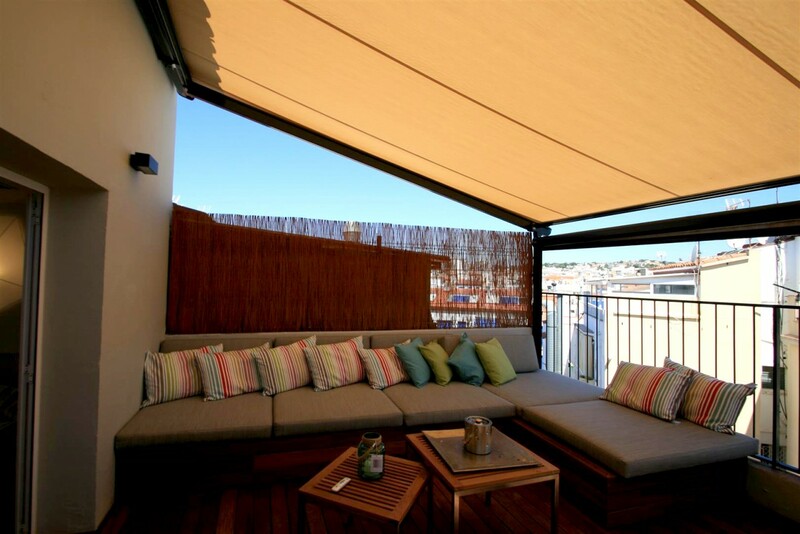 The toldo/awning contains LED lighting for those romantic evenings. 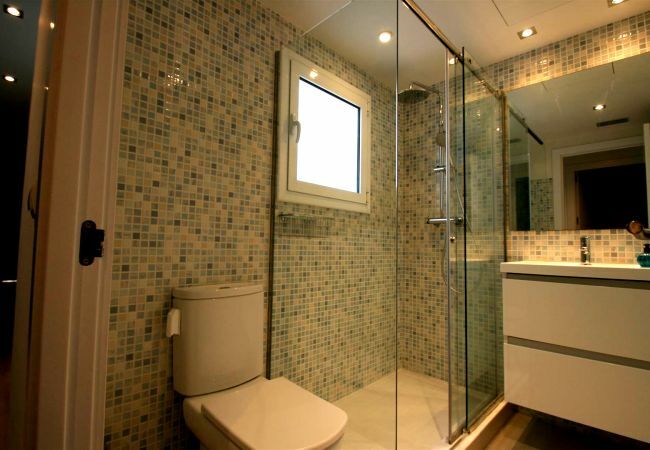 On the left of the entrance can be found the bathroom, with a large walk in shower and the two bedrooms one being a double and the second a single. 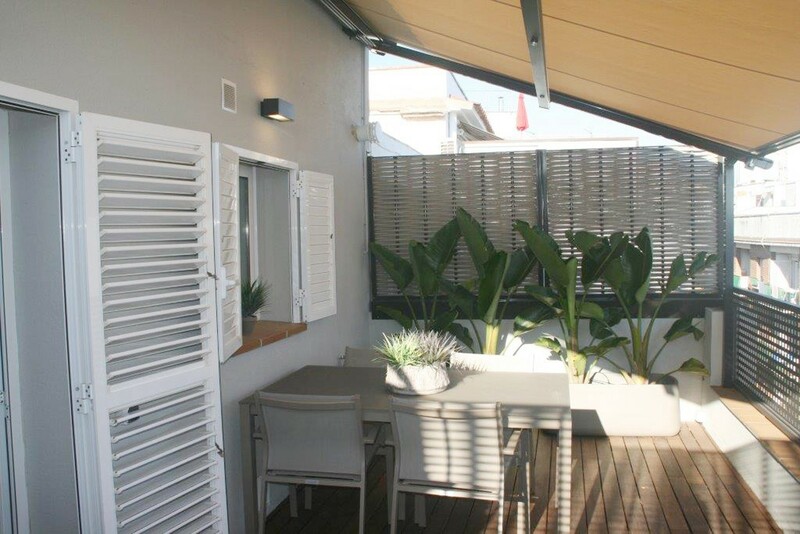 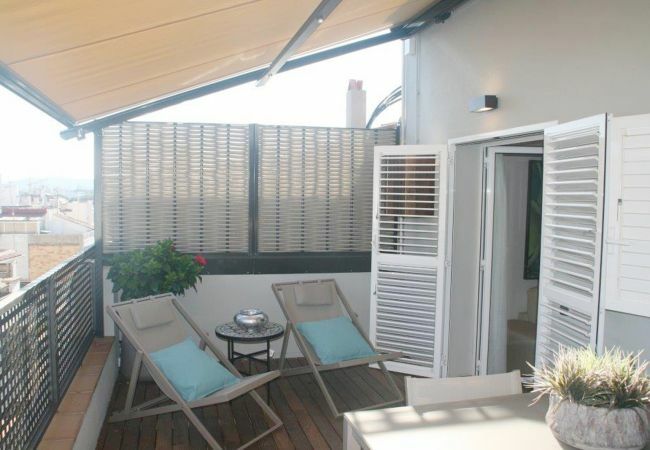 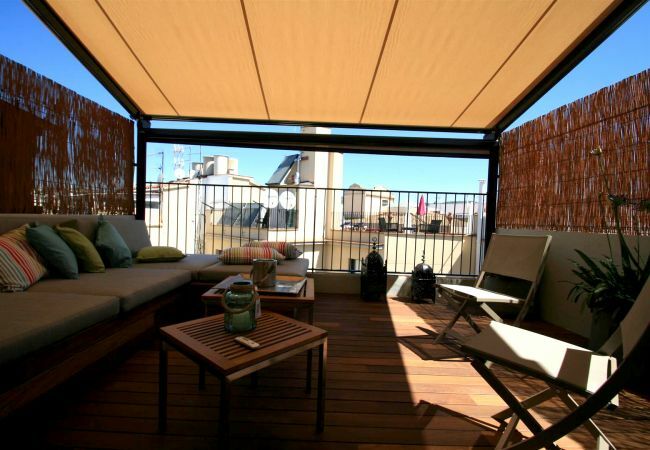 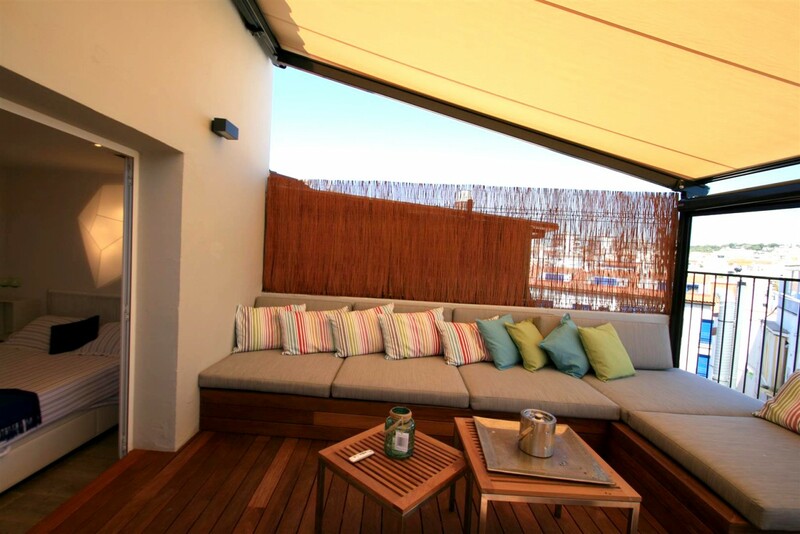 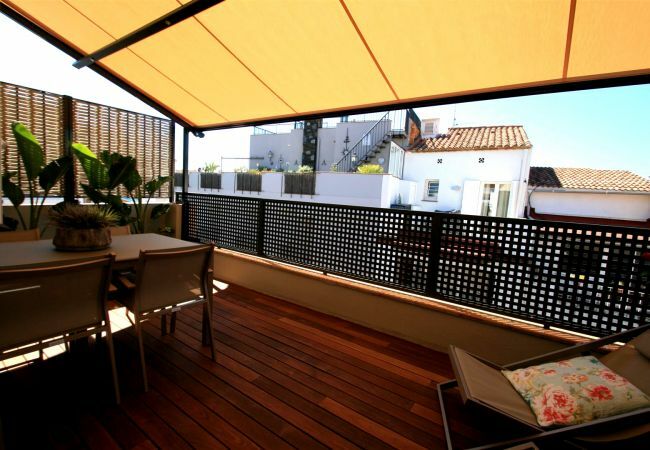 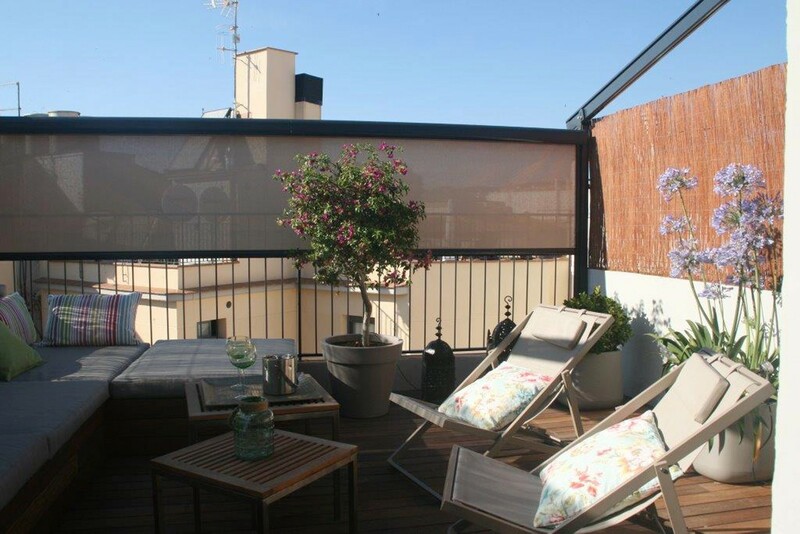 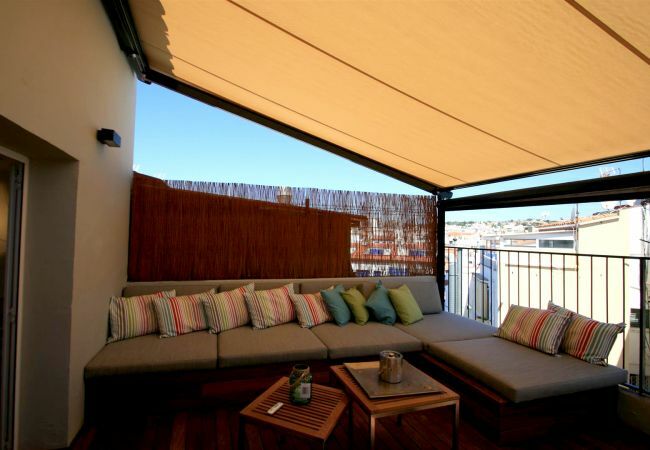 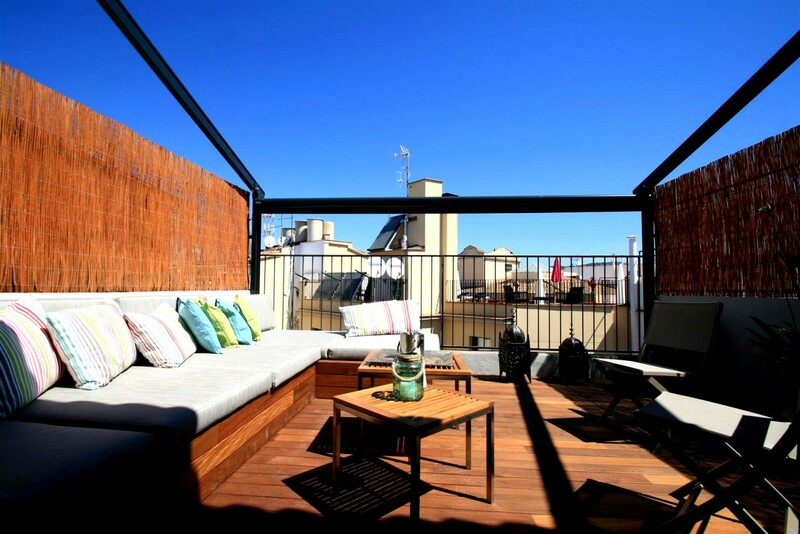 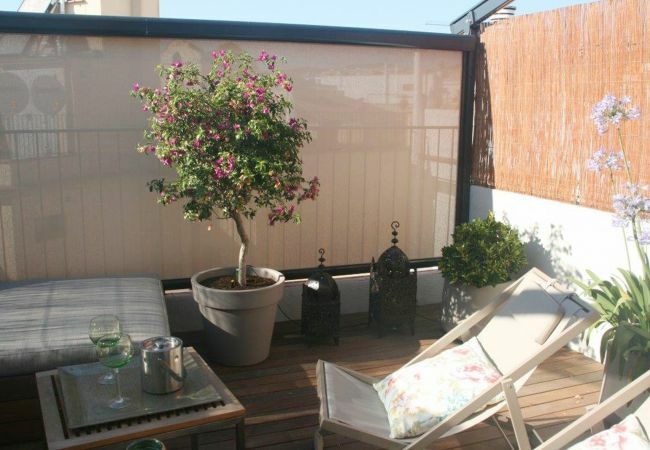 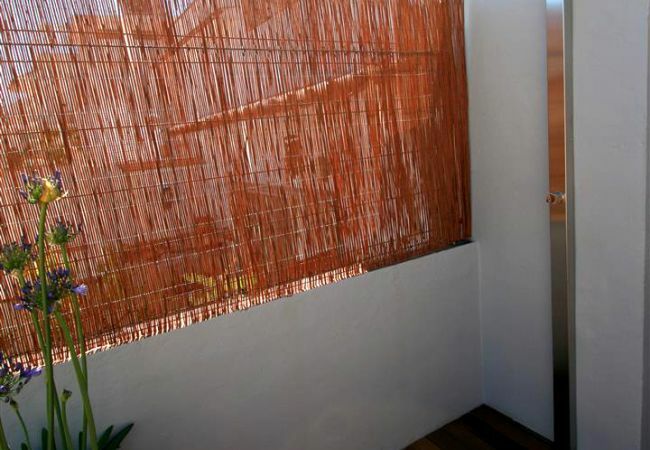 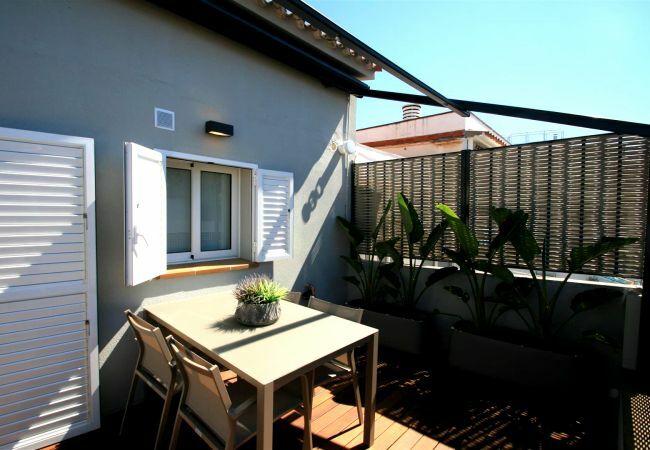 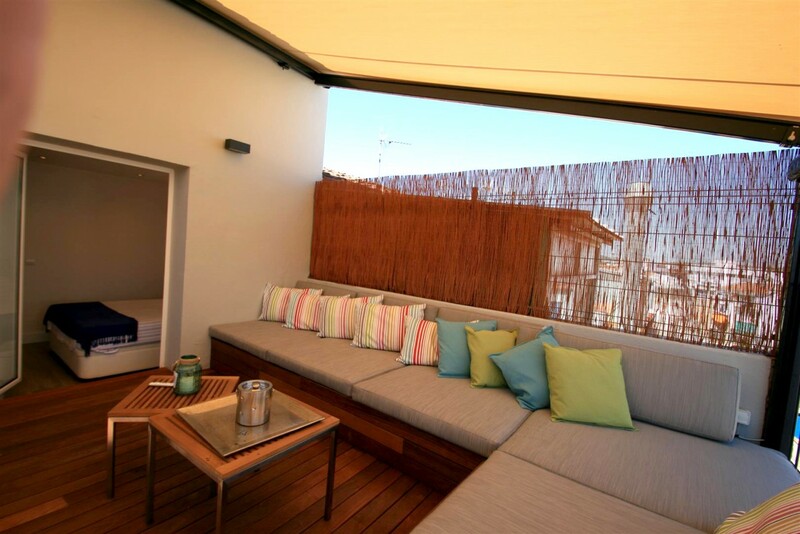 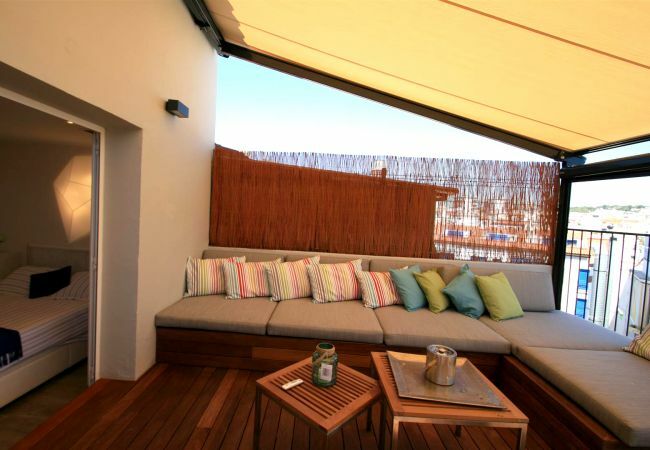 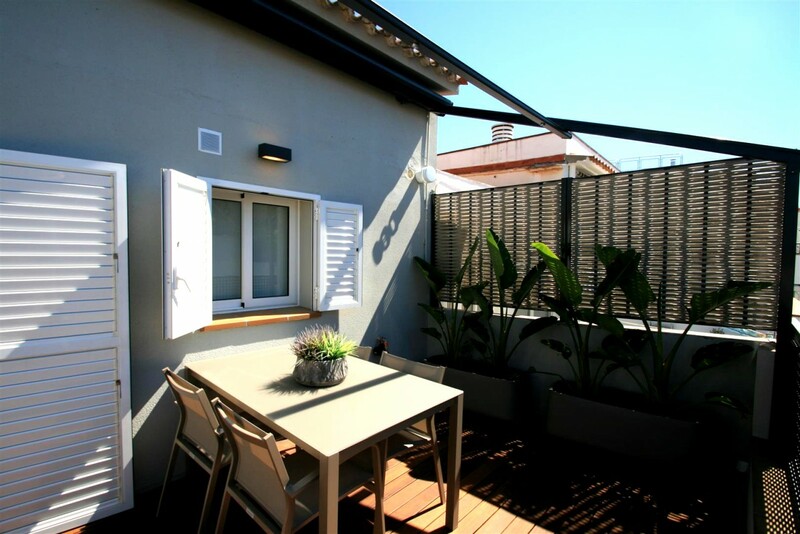 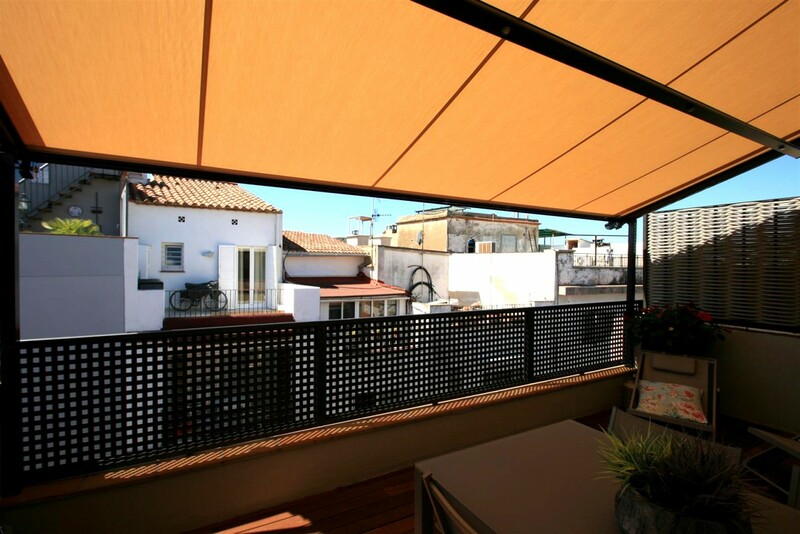 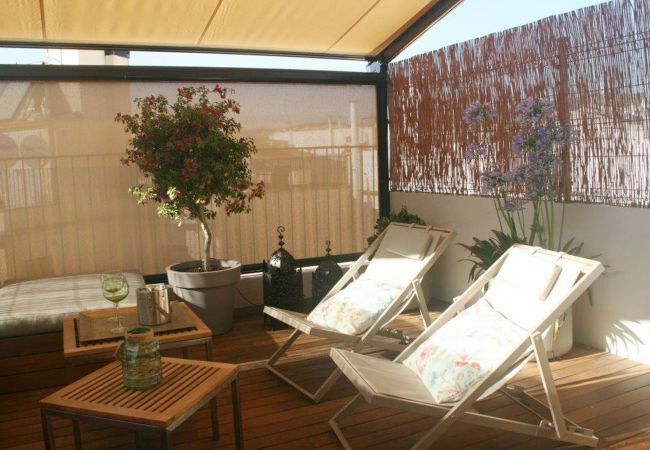 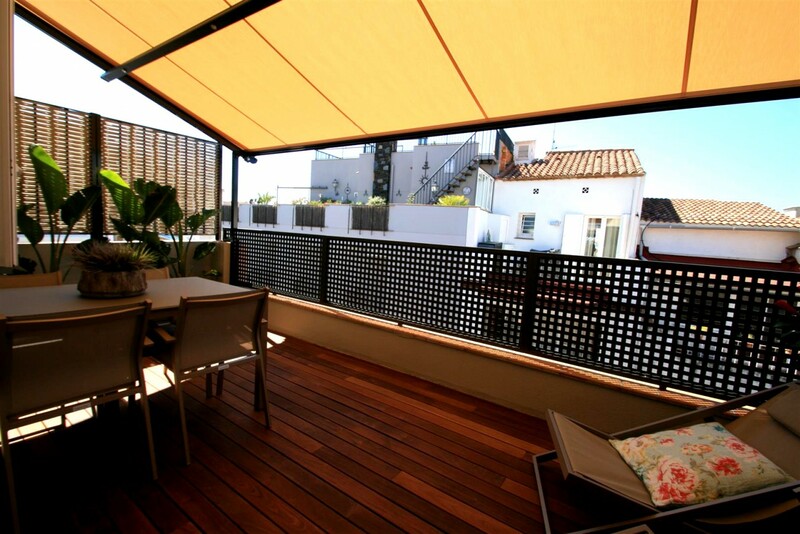 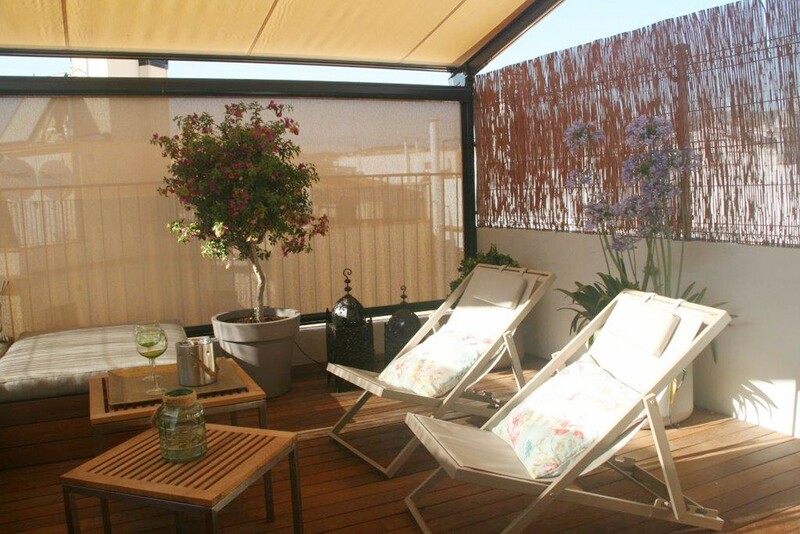 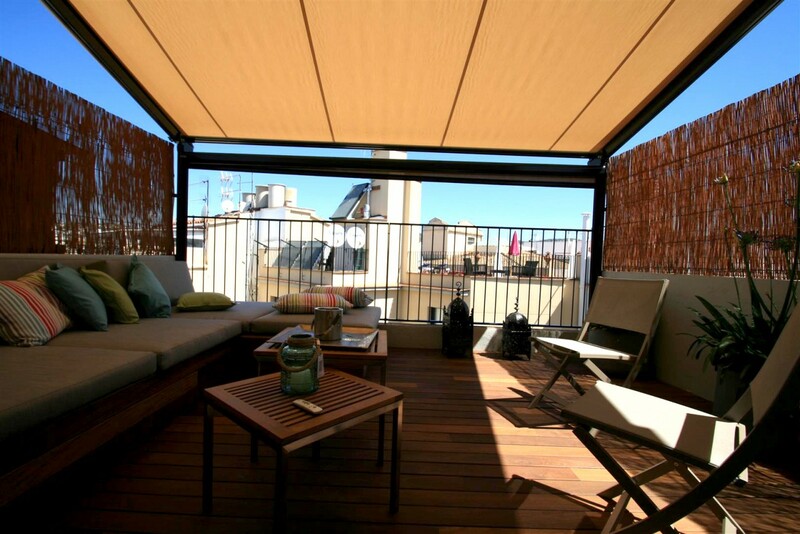 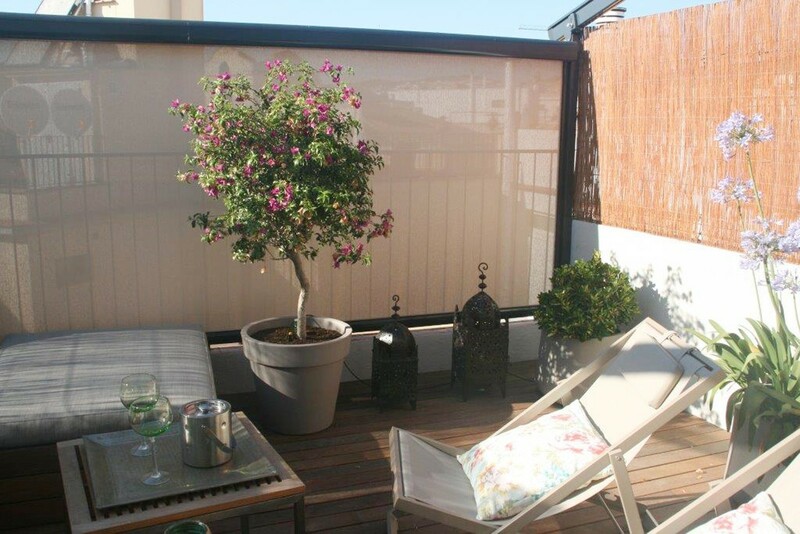 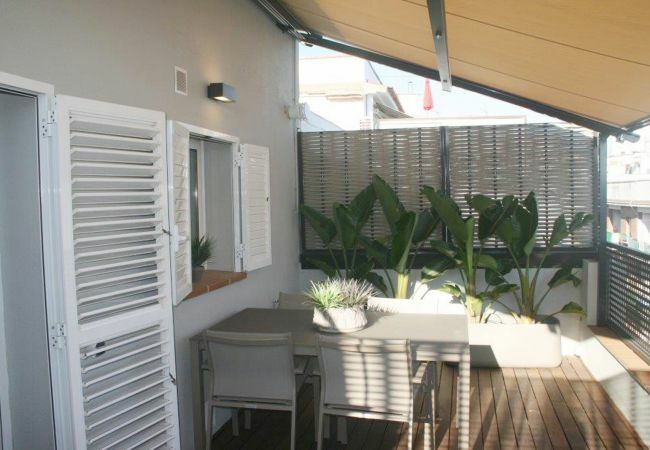 Both bedrooms have access to the second terrace, this terrace has comfortable terrace sofas, ambient lighting, a toldo/awning and should you wish for more privacy an electric blind can cover the end of the terrace. 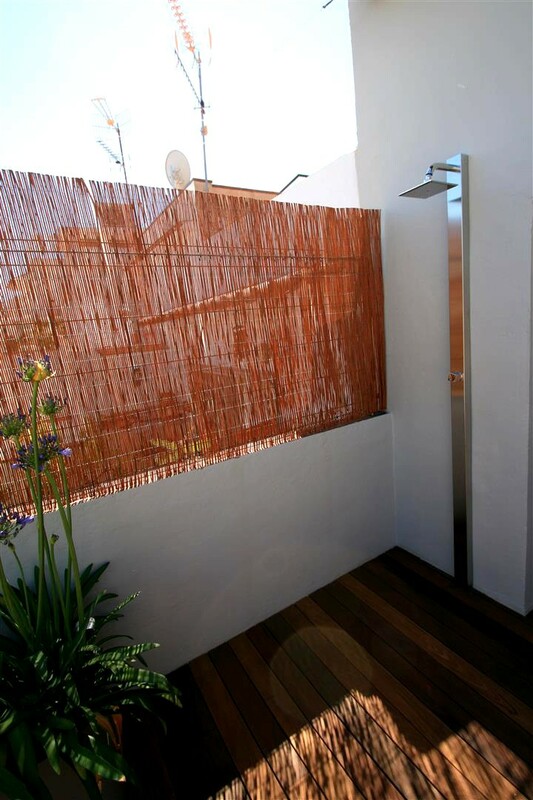 This terrace has also a shower to cool down in the afternoon sun. 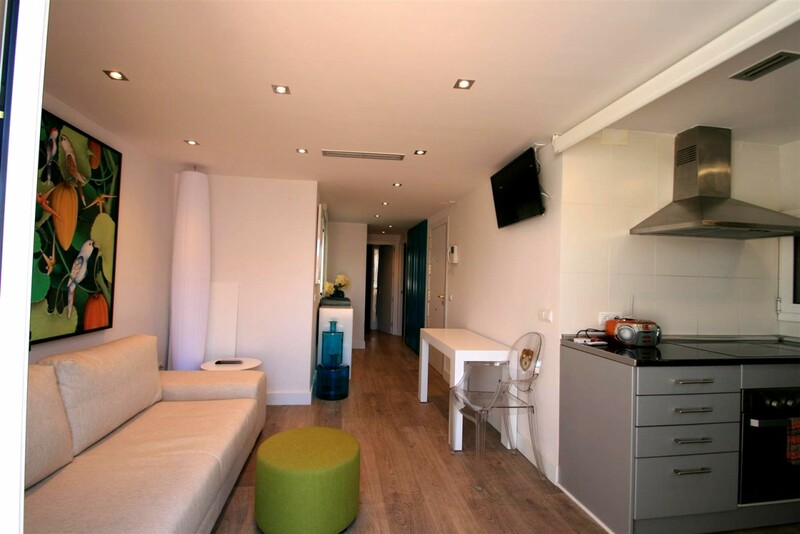 This truly is a most enticing and romantic retreat and an apartment that will become one of StaySitges clients most favoured apartments. 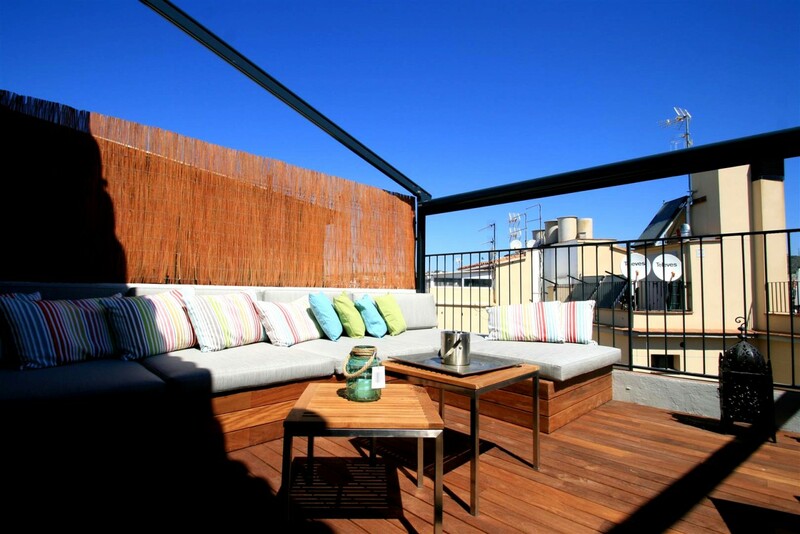 - 1 TV, 3rd floor, terrace, internet (Wi-Fi), hair dryer, central heating, air conditioning throughout the house.